UPDATE #2: According to at least two user reports on the official T-Mobile Forum in Germany, a fix for the bootloop issue is now available. It also appears that the phone would boot for many once the T-Mobile SIM is removed. Forum members report that a factory reset wouldn't fix the problem. Instead, affected users are advised to install the LG Bridge application on their computer and install the released software update (3GB in size) on their LG G7 via USB. Once the update is installed, the phone should go back to working normally. Users who have installed the new software confirm that their personal data has not been affected. Furthermore, LG has reached out to clarify that the LG G4 bootloop issues we mentioned initially were caused by a hardware problem. In contrast, the recent mishap with the T-Mobile LG G7 in Europe was most likely service- or software-related, judging by the available evidence. 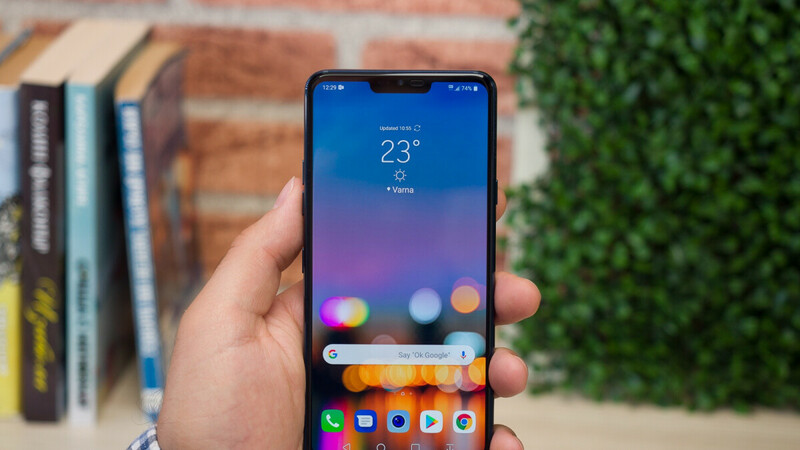 "The latest software update for the LG G7 ThinQ on a specific network in a number of European countries is preventing the phone from starting. Customers experiencing issues with their devices immediately after the software update can be assured that no permanent damage has occurred with their LG G7 ThinQ. In cooperation with the operator, LG will be issuing a software solution within the next several days which will allow affected customers to roll back the update and return their device to its previous state. Customers are encouraged to contact an LG call center or visit their local service center for further assistance. LG sincerely apologizes for this tremendous inconvenience and we are making every effort to remedy this situation as quickly as possible." It looks like LG’s newly appointed mobile division president may have even bigger things to worry about than a confusing high-end product portfolio and less-than-stellar V40 ThinQ reviews. The infamous bootloop plague seems to be making an unexpected comeback, reportedly rendering a staggering number of LG G7 ThinQ units inoperable without a known cause... as of now. The issues surfaced out of nowhere over the weekend, spreading like wildfire across several European nations, according to a large number of Redditors and XDA Developers Forum members. Their grievances sound eerily similar, as the G7 ThinQ simply refuses to power up, attempting to boot time after time without successfully completing the task. What’s odd is this latest instance of widespread bootlooping glitches appears to have one thing in common apart from the affected smartphone model. Regardless of the country of residence, bootloop-plagued users are reportedly all subscribed to the wireless services of one big company. Namely, T-Mobile, which could have more to do with this problem than LG. At the same time, the device manufacturer’s history of similar bugs is pretty hard to disregard when trying to find who to blame for this new mess. The bootloop nightmare began back in 2015 with the LG G4, resulting in a costly class-action lawsuit that also involved G5, V10, V20, and Nexus 5X owners. For what it’s worth, LG is reacting quickly and appropriately to bootloop reports this time around, “immediately” starting an investigation into the cause of the glitches, according to a statement provided to Dutch blog DroidApp... on a Sunday no less. Meanwhile, the company's customer service representatives are promising swift device replacements, which suggests the issue is yet again hardware-related. Hopefully, LG will somehow manage to contain it to a limited number of faulty units. Or perhaps some sort of a network cause will be identified. Either way, let’s keep our fingers crossed bootloop doesn’t become a global thing... again. This will be a nightmare for Lg's technical support division. I lost all hope of fixing my lg g4 back then after weeks of waiting for a permanent solution. Lg should revamp their phone supervisors and engineers or they will die before htc. Hope my G6 will not suffer this problem. Had two refurbished LG G4s bootloop. The first within the 90 day warranty, but the 2nd was 6 months or so later. Gave up and got a refurbished G5, which has been just fine for a year or so. Also have a refurbished G6 which has been fine (fingers crossed). My problem is that LG seems to be the only manufacturer that offers previous years flagships refurbished for less than $300. I can't justify spending more than that on a phone, so I'm kind of stuck if I want good hardware and US LTE bands. As a current LG user, I'll admit this is a problem for LG users. I'm no fanboy, but I still believe LG can pull it together and move forward. Of course, the title of this article is a bit misleading, due to the affected model being the T-Mobile version. It also leaves a horrible precedent that the "less than stellar" review is the review posted by phonearena. This article had some valid points, but the biggest complaints are the battery life and picture quality not living up to the expectations of the author. The price and camera function complaints are complete b.s. as every new phone is in that range and the function complained about isn't even a feature the phone claimed to have. I like all phones and have brands that I prefer, but this site seems to be promoting apple heavily and taking every chance it gets to bash other brands. Tldr: This article title is misleading, reminds us all that phonearena is biased against Android( example v40 review), Not a fanboy. No waaaaay.... LG.... this is crazy, but i'm guessing they are highly confused at a route to take on their mobile division like HTC years ago.... you have to understand one or 2 mistakes and you can drop like a rock.... and releasing all these damn phones so quickly that eliminates the flagship you just brought to market a few months before is a little stupid. Qualcomm have a huge announcement today about its unbeatable chip yet not one article to be found on this site. Who the hell gives a crap about an lg device bootlooping? Top Huawei official got arrested in Canada:https://www.washingtonexaminer.com/policy/economy/canadian-officials-arrest-top-huawei-official-at-request-of-us Samsung sees biggest smartphone sales decline since Gartner started tracking it:https://www.androidauthority.com/q3-2018-sales-gartner-931180/ Samsung faking photos again:https://9to5google.com/2018/12/04/samsung-camera-dslr-galaxy-a8/ 3 more stories missing. Another year another bootloop issue for LG. Mine did. I think everyone's did/has. I paid $999 for my LG V30. Fingers crossed - hope I don't get this bug. If I had an LG phone, I would rather get another phone brand and not to have to call LG's lack of customer service customer service. This is very different from old bootloop situations that occurred over time and not because of a software update. My V10 bootloopeded along with my brother-in-law's and a few people I followed on Instagram. Stuck it out with LG for the V20. No issues. Same for the V30. Rule #1, from even back when I was using flip phones.. Never buy LG. They CANNOT build a reliable phone. Never have, never will. Well, who can debate with such logical, well thought out arguments. You two copy each other’s homework? And is your point any more logical and well-thought out? This is sad to all android phones. Updates to fix is a nightmare. That is why, Samsung shouldn’t be pricing their phones for $1000 because of inferior OS and bad post services. Updates to fix? They feel they won the lottery if they get security updates to keep safe from rotten Play Store apps, and yearly OS updates that show up 6 months late. We are not talking about ios. But, thanks for letting us know about how inferior ios is. Translation: “I know you are, but what am I?”. My V40 just went blank today. I couldn't turn it off or anything until it restarted by itself and now we are good to go. Oh, I'm with t-mobile. My V35 restarted itself a couple times before when using the redial last number feature on my Bluetooth headset. It seems to have gone away now..